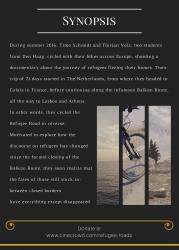 LOCKLINETwo bikes, nine borders, across one continent. A road documentary that captures the perils of fleeing to Europe, telling stories of the Refugee Road. In 2015, reports on the refugee 'crisis' dominated various media channels. This raised questions about the political, humanitarian and legal responsibility on behalf of Europe and its citizens in meeting the challenges that come along with it. One year later, in summer 2016, we make our way across the continent by bicycle to find out whether these questions have been answered. Media reports have decreased, fences have been built, and the Balkan route is formally closed. 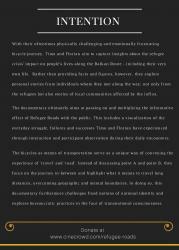 However, as we soon discover, the fates of those still stuck in-between closed borders have not disappeared. 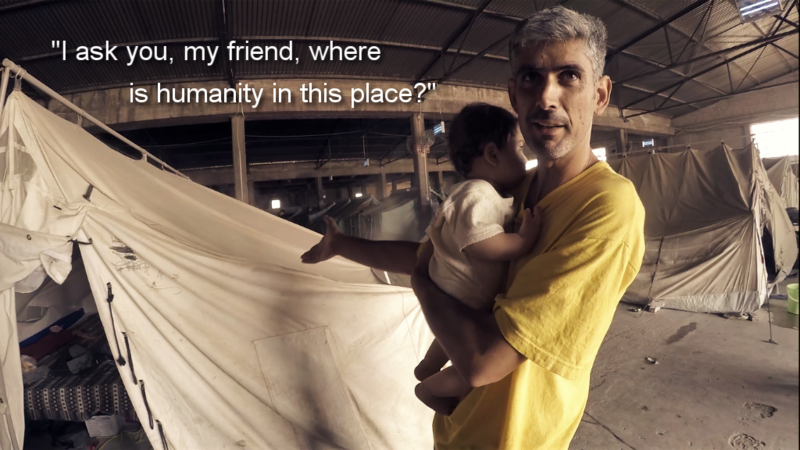 In exploring the Refugee Road we don't act as the 'auteur' of this documentary, rather we are capturing the everyday struggle, failures and successes during our daily encounters. Those in front of our camera give this project direction with the ultimate result of a continous narrative. 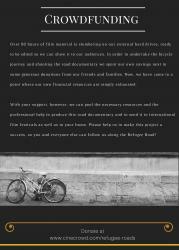 The bicycle as our means of transportation serves as a unique way of conveying the experience of 'travel' and 'road'. Instead of discussing point A and point B, we focus on the journey in-between and highlight what it means to travel long distances overcoming geographic and mental boundaries . In doing so, this film challenges fixed notions of national identity and explores bureaucratic practices in the face of transnational consciousness. We have weeks worth of material slumbering on our external hard drives that is ready to be edited so we can show it to as many viewers as possible. In order to undertake the bicycle journey and get the material in the first place we used our own money, next to a few generous donations by our friends and family. However, we have come to a point where our own financial resources reached its limits (mind that we are students after all). With your support we can put together a professional post-production team and pool in the resources necessary to send the documentary to international film festivals, and the DVD to your home. Let's make this campaign a success together, so you can follow us along the Refugee Road! You can also find us on Facebook and our Website. 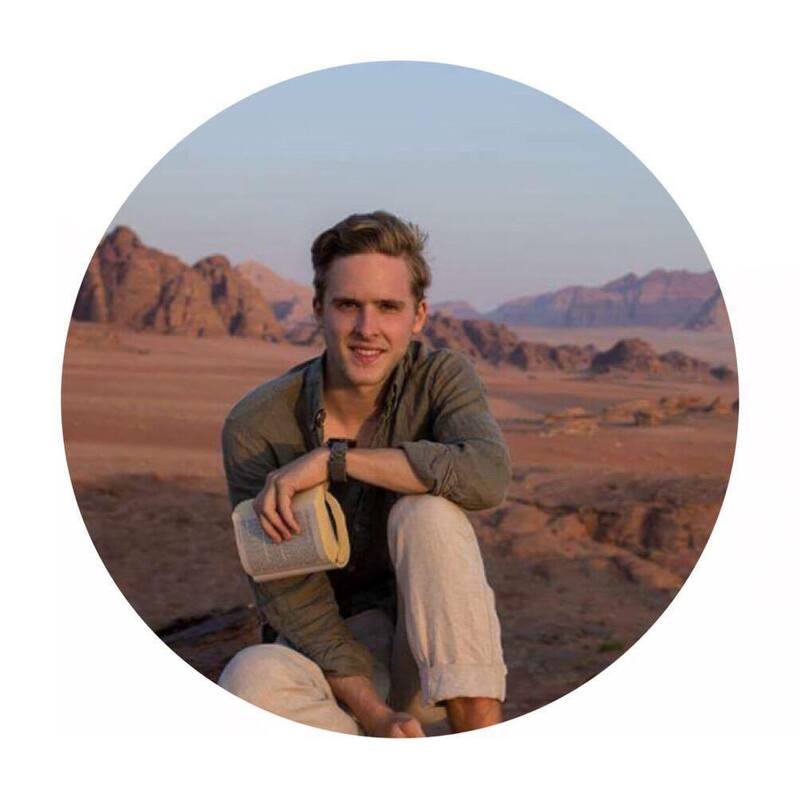 Timo Schmidt (1994) currently spends a semester in Morocco at the NIMAR institute in Rabat as part of his BA International Studies at Leiden University. He specializes in Middle Eastern culture, politics, history and economics and learns Arabic. He has previously interned with Amnesty International in Vancouver, Canada where he produced a short film about indigenous communities in Guatemala affected by mining operations. Before Refugee Roads, Timo was involved in a number of projects related to migration and mobility, both in the Middle East and Europe. 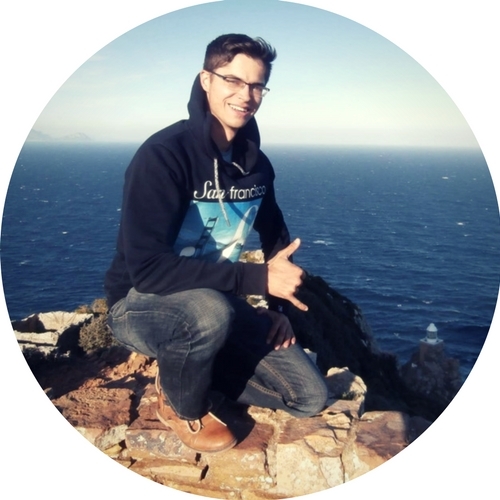 Florian Volz (1993) currently works in Den Haag on completing his Bachelor Thesis to obtain the BA International Studies from Leiden University. His specialization encompasses the politics, culture, history and economics of Sub-Saharan Africa and he is learning Swahili. He was in charge of organizing the 2016 BASIS Charity Ball in benefit of The White Helmets in Syria. Tali Barde (1990) works as a director, writer and producer in Cologne, from where he runs his own production company Avalon Film. His first feature film “FOR NO EYES ONLY” was screened at multiple international film festivals and was released in German cinemas in late 2014. 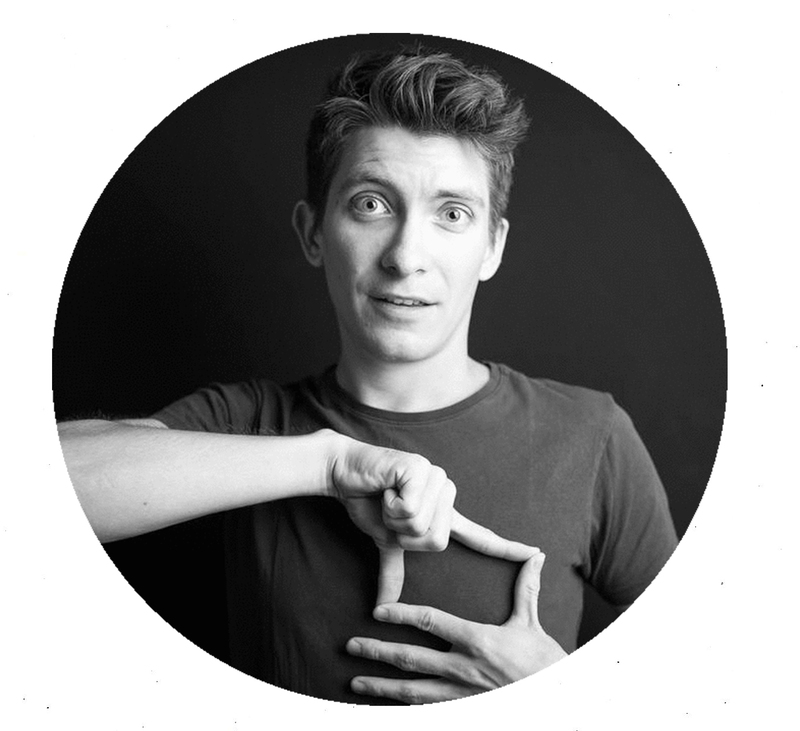 He currently works on his second feature film and develops a serial format within a Writers Room. 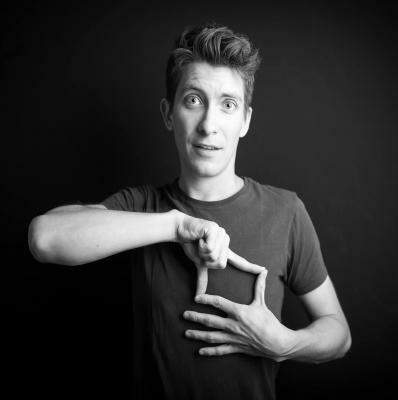 In addition to his own projects Tali directs commercials and gives film workshops at schools, within film festivals and at the University of Cologne. This year he was selected for the Berlinale Talents program. Great work guys. Happy to contribute a bit to the realization of this project. Viel Erfolg! Great initiative and good luck! Interessantes Projekt. Ich wünsche euch, dass ihr es wie geplant realisieren könnt! We wensen jullie veel succes met het ophalen van het laatste stuk! This is our donation, please mention "Community Outreach Committee, International Studies" in the credits. Thank you in advance and congratulations, you almost made it! Die Welt braucht mehr von solchen Aktionen! It's an honor to support a project like yours! Hope you'll achieve your 80 % !! This movie might seem to some like an unnecessary luxury, but you have to realise, that a movie bringing the attention to systematic policy errors, has a lot more power to change the injustices than the same amount of money spend on material donations, that don't change the situation, but rather reinforce and lengthen the problems in the refugee camps along the Balkan route. Super, dass ihr dran bleibt! So helfen wir gern weiter. Viel Erfolg wünschen euch Otto und Uli. So much respect for you, amazing project! Great project! Good luck, can't wait to see the final product. Best of luck with the project guys!! Großen Respekt, dass ihr den Menschen dort eine Stimme gebt! Ich habe gerade den Beitrag der ARD gesehen und fand die gezeigten Ausschnitte sehr eindrücklich und nachdenklich machend. Ich bin schon sehr gespannt auf das Endergebnis. What a fantastic project! Best of luck with all that this journey brings, what amazing and brave people you are! I can't wait to see the finished documentary. Next Tuesday, September 26, the international film school of Cologne will hold a promotional screening of the pilot episode to raise support for our next episodes and maybe even find a potential investor. They invited their professional network and we are inviting you. You have been with us from the start so if you are in the area, please join us for this evening at the following location. Entrance is free! Timo, as well as both our co-producers will be present for a discussion after the screening, in which you are more than welcome to participate. So, we hope to see you there! Second, we are proud to share that the Pilot episode just won the first price in the Film Festival Cologne in the category ‘Migration: Non-Professional, Non-Profit’. We are very excited about this as it not only attests to the value of your continuous support but also is another sign of the potential that lies within the next episodes. This is highly motivating for us to continue with this path! RR Update #3 - New Press Release is sent! First things first: Thanks to your support we have made it to the first third of our goal. That is already incredible! Nevertheless, we are not quite there yet. We need to reach our goal within the next 11 days in order to receive the funds and to start with post-production. It may sound like time is running out but due to the work we have done in the last week we are still optimistic that, together with you, we can make it to the finish line. Applications for the VSB fund, the Open Society Foundations and for WIJDOENMENUU.NU are complete and are currently being processed. We'll keep you updated about the results. Next week we will hold two massive fundraisers at our university, where we will share some of our captured stories with the audience. Most importantly, we just got done sending out an updated Press Kit to a variety of news stations to further increase public attention. Check it out below! However, this campaign still needs every single one of you. Before the end on October 10th, please share this cause one more time with your friends and families and via your social networks. Thank you for believing in Refugee Roads. Together we can make this campaign a success! RR Update #2 – Meet our new Co-Producer! Refugee Roads has a new member in their team! We are very glad that our friend Tali Barde takes on the role of Co-Producer. His expertise in the field of videography will guide us through the post-production phase and further enrich this documentary with his creative and professional footprint. With his help, we can ensure that your donation will result in a high-quality documentary! 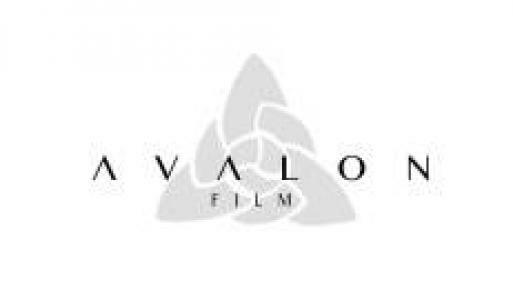 You can read Tali’s short biography below and visit his website (www.avalonfilm.de) to learn more about him and his work. EVERY EURO COUNTS! Thank you so much for supporting our project, you will receive our eternal gratitude and a thank you e-mail. SNEAK PREVIEW Get a hidden online link to the movie two weeks before the first official public showing in your personal thank you e-mail. 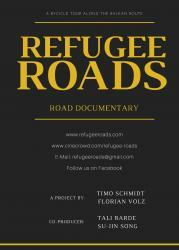 SIGNED DVD We will send you a signed copy of Refugee Roads as soon as the final version is released. YOUR NAME IN THE CREDITS It is thanks to you that we produced this movie, so we will mention your full name in the credits under the supporter section. You'll also get the hidden online link to the documentary. PREMIERE TICKETS Receive two tickets to the first public showing of Refugee Roads in Den Haag. Experience an educational evening and ask your questions to us at the Q&A following the premiere. Drinks are on us! You'll also be mentioned in the credits and get a signed DVD. MEET THE PRODUCERS Either meet us in Den Haag for a coffee or have a virtual session via skype with us where you can ask us all about our experiences, the lessons we learned and the whole inside story behind Refugee Roads. We will answer all your questions to the best of our abilities. You will also get the hidden online link or a DVD (your choice) and we'll mention your name in the credits. DVD + TENNIS BALL They not only saved our wrists from a lot of pain but they were also our signature marker on the road. Obtain one out of four signed tennis balls which travelled the whole journey with us on our handlebars. They have been everywhere we went and will be shown in all bicycle scenes of the documentary. One truly personal reward! Plus, you'll get a copy of the DVD and we'll put your name in the credits. FULL SPONSOR PACKAGE Wow, this is incredible. From now on you are a sponsor of Refugee Roads. We will put your name and/or business logo under a special section on our website and include it in our credits, you'll receive two tickets to the premiere, we'll send you a signed DVD and we will meet you in person or via Skype. This meeting can also take place in form of a personal showing at one of your events within The Netherlands. BECOME AN EXECUTIVE PRODUCER You have now officially become a partner of Refugee Roads. Wherever our project will go, your name and/or business logo will be there as well. 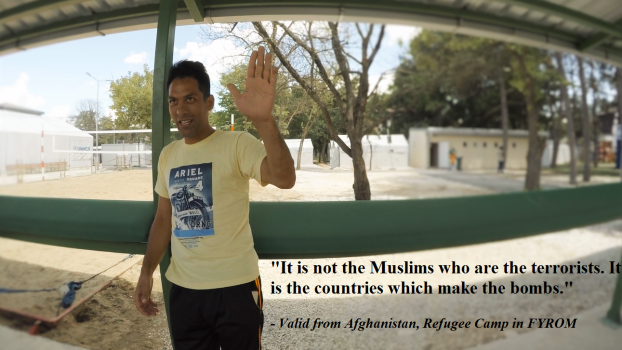 Not only will we show your producer status during the opening scenes of Refugee Roads, you will also be visible at every public screening we will organize. Plus, you will get Premiere Tickets, a Skype meeting with us, three signed DVD's and our eternal gratitude. If you have any other ideas about how to further personalize your reward, feel free to message us. 141 supporters have contributed to this project!